Ever since I took up Public speaking....I become more conscious about my look , especially my side ways expanding body...WTH! Yup! not to say I eat a lot...I exercise too..you know...but ever since I skip my breakfast and just eat lunch and sometimes with dinner and sometimes skip it. Even with exercise...my metabolism seems at lower rate. Many suggest me to take my breakfast because breakfast is very important. Duh!!!!! like I don't know that???? I wake up very early in the morning....travel by car going through all those stressful traffic jam for at least 2 hours a day...and there are times, it took me 3 hours to reach office.WTH!!!! I can reach Ipoh ledi...then another one hour ...I can say "Good Morning ,Mum!" . Yup! Yup! I can even reach back to my hometown every morning! What it got to do with breakfast? You see..so stressful going through traffic jam, make me feel no appetite to even eat light breakfast! IMA...stress every morning just to reach office you know...then reach office also stress with work load you know... then want to go back home another stressful journey..too! 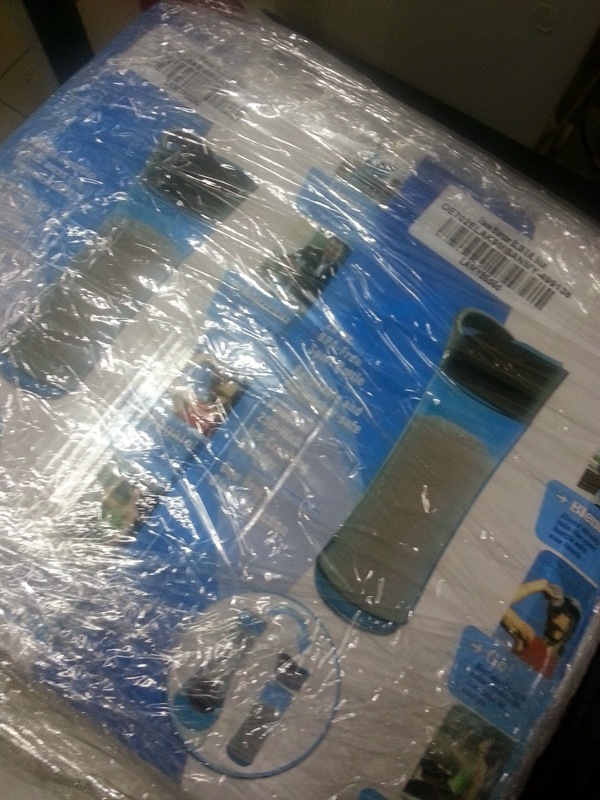 My friend told me to get myself one of those 'shake n take' blender for smoothies so I can have healthy breakfast in the car. I look around but many reviews said the motor won't work la..this la and bla bla bla..
Cheap also need to make sure thing can use right? After shopping around for easiest portable blender. Then found this website lazada.com.my . Hesitate at first! Price not bad! reasonable....ahhhhh...gamble la.. I registered myself as member at lazada.com.my , then receive RM10 voucher. 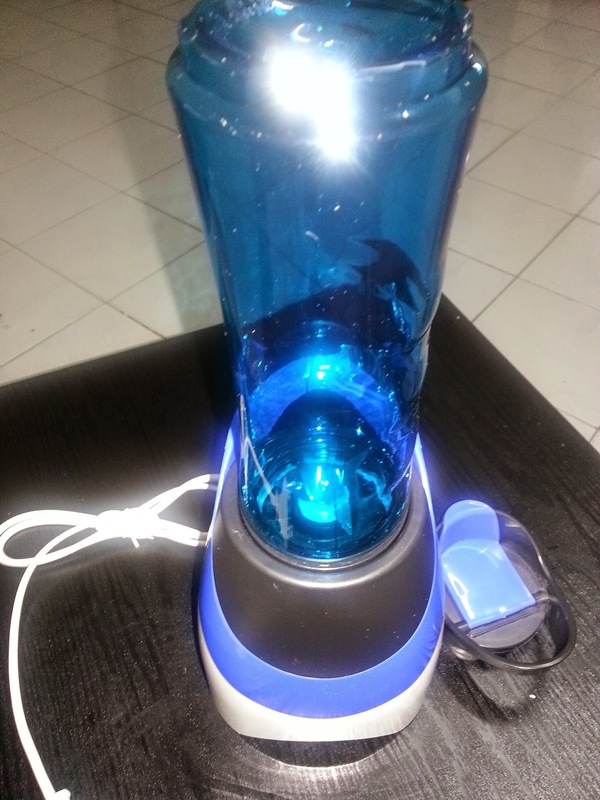 Found myself travel blender for delicious smoothies at lazada.com.my. I immediately bought 2 units at RM50/- each + FREE Shipping and deduct out the RM10/- voucher I gotten for register as member. 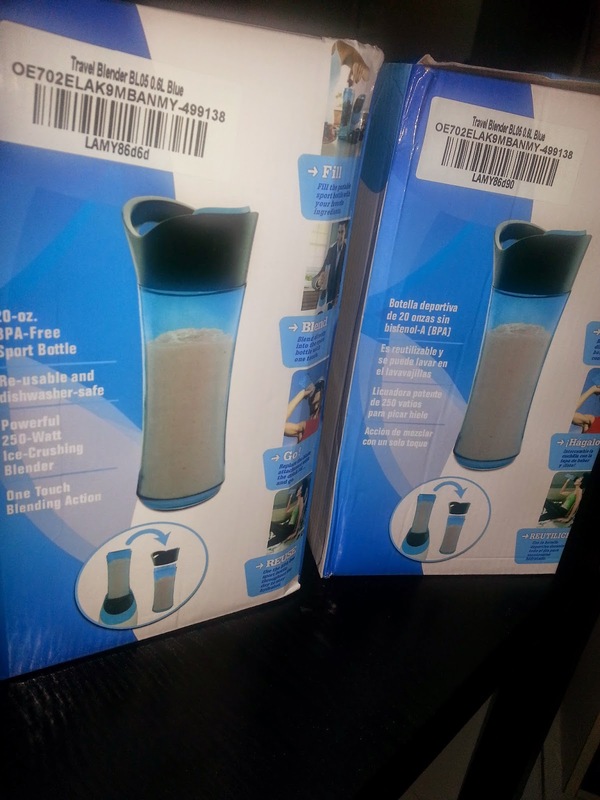 hehehehe...2 units of below picture travel blender for only RM90/-. Good buy..weiiiiiiii...Can pay use credit card,bank transfer and even pay cash during deliver. So easy huh? The best lazada.com.my was so efficient handling my order.My order was confirmed like few minutes after payment made.WTH! I purchase on Sunday evening and I received my items on Tuesday afternoon. WTH!!!! Even my friend was impressed!!! Item work well ...for me and I already enjoying my first smoothies which is honey dew+rock melon+honey+ milk = delicious=yummilicious!!!!! Don't know about the other unit...because that one suppose to be given to Chingu later. This weekend must buy my favourite berries.....can't wait!!!!!! So ...tunggu apa lagi??? Go register yourself at lazada.com.my and grab that RM10/- voucher! You think this is advertorial is it??? I got paid for promoting lazada.com.my is it? I don't get anything from them, though! This is just a mere satisfied customer review and sharing is caring! Lazada is quite famous for online shopping now.